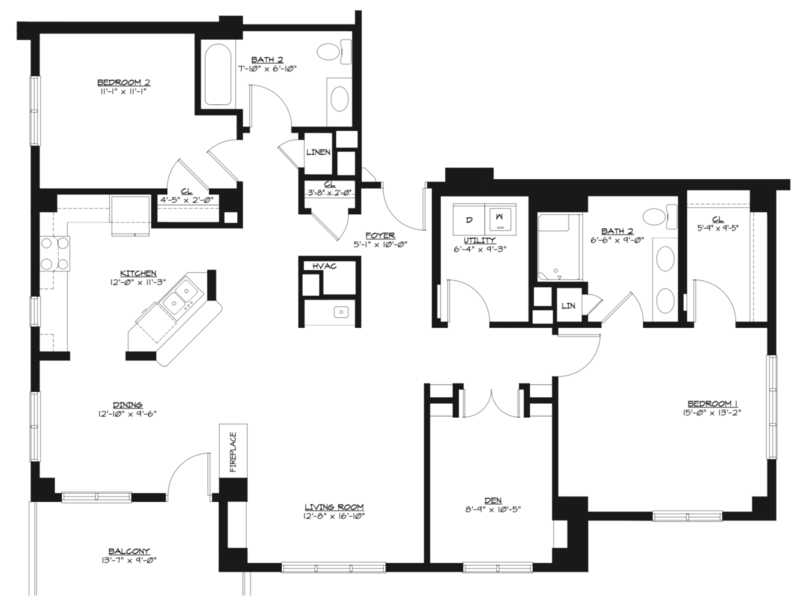 Covenant Woods’ largest floor plan, the Hyacinth is a sprawling apartment with plenty of room to spread out, store things, and make it your own. A large kitchen includes a breakfast bar that looks out to the dining and living room, which has a fireplace – the only Covenant Woods floor plan that does so. The Hyacinth is also one of few homes that includes an added den – great for a home office, entertainment center, or craft room. A second bedroom is ideal for residents with regular visitors, children or guests – or even couples who prefer separate bedrooms (you’ll have to flip a coin for the master). Like all homes in The Lodge, the Hyacinth includes a large balcony nearly the size of your living room. 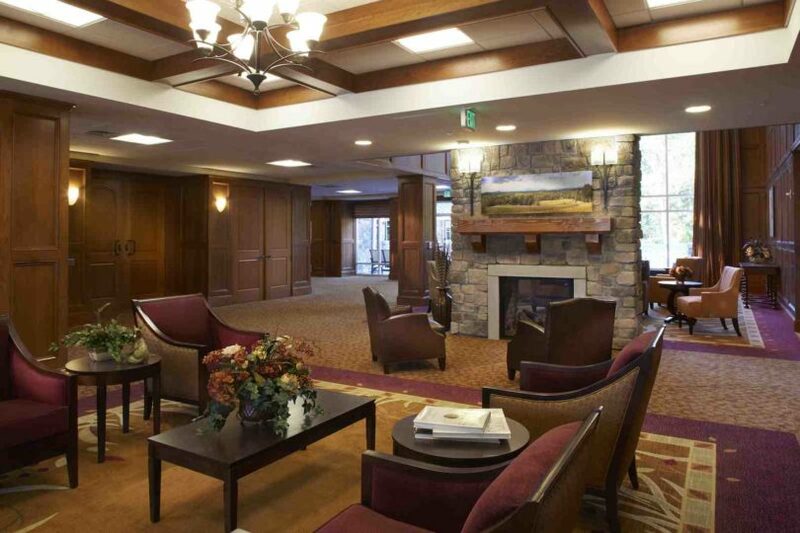 The Hyacinth is located in The Lodge, which includes Vistas restaurant, the Fireside pub, outdoor dining on The Terrace, plus a host of amenities and beautifully appointed apartments. All homes include one space in the underground parking garage, open floor plans, plenty of storage, and an abundance of natural light. The Lodge connects to the Manor via The Link. Our Pricing Information will explain our fee schedules and show cost comparisons to help you make an educated decision. Whether you’re ready to make a decision or need more information, we’ve broken out your next steps.